Foreclosure filings (default notices, scheduled auctions and bank repossessions) were reported on 933,045 U.S. properties in 2016. 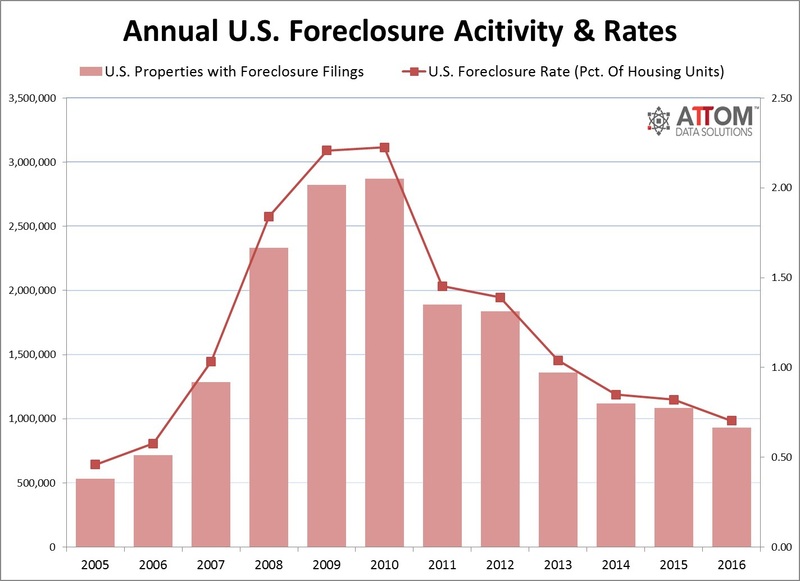 This is down 14 percent from 2015 to the lowest level since 2006, when there were 717,522 U.S. properties with foreclosure filings. The report also shows that 0.70 percent of all U.S. housing units had at least one foreclosure filing in 2016, the lowest annual foreclosure rate nationwide since 2006. Mortgage applications for new home purchases increased 2 percent relative to December 2015. Compared to November 2016, applications decreased by 14 percent relative to the previous month. This change does not include any adjustment for typical seasonal patterns. 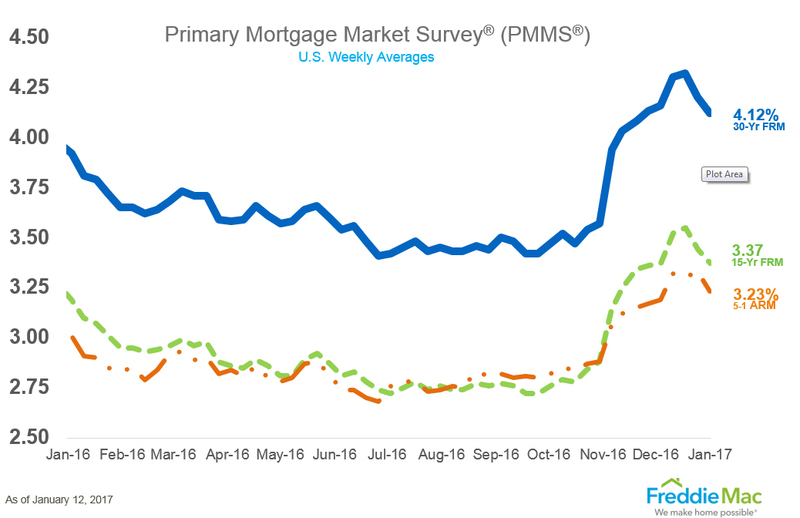 The 30-year fixed-rate mortgage (FRM) averaged 4.12 percent with an average 0.5 point for the week ending January 12, 2017. This is down from last week when it averaged 4.20 percent. A year ago at this time, the 30-year FRM averaged 3.92 percent.